Changing oneself can change the dynamics in a relationship. One committed spouse plus God can heal a marriage. 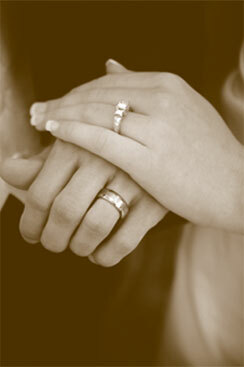 Marriage Restoration© is a program to assist spouses in healing and restoring their marriage. Its format is unique in that it is particularly successful even when only one spouse works at restoring the marriage. Together with God, one person can heal a marriage. If one person changes, it changes the dynamics of the relationship. The only criterion is for one spouse to want the marriage if it could be different. This is not about tolerating an unsatisfactory marriage, it is about transforming it into one in which the family experiences God and enables each member to reach their highest good. Marriage Restoration© is for those in a lonely or troubled marriage, whether separated or together. It helps people restore themselves and their marriage at the same time. Topics include: relationship and communications skills, male/female differences, self-esteem, commitment, fidelity, mid-life crisis, and similar issues, with the focus on solutions, not problems. Susan Zappo began the Marriage Healing and Restoration Program for the Archdiocese of New York. While serving as Coordinator of the Separated and Divorced Ministry for the Archdiocese of New York, she began to wonder what, if anything could be done to help married couples heal and restore their marriages. She brings to her ministry two decades of experience in the business world as a Human Resources Consultant. Her interest in ministry grew out of her volunteer parish work with families on New York's Lower East Side. "I learned there how easily people can fall through the cracks. Especially today, when marriages are under so much pressure, it is important that spouses not feel abandoned and alone. They are not alone. With the help of God, they can improve their lives and heal their marriages." For further information about Marriage Restoration contact Susan Zappo.